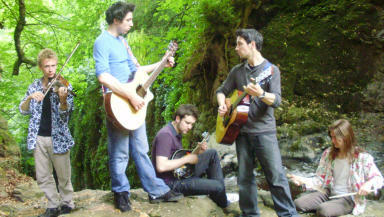 Aberdeen band set for Lemon Tree gig next month. An Aberdeen blues band is set to launch their début album with a gig in front of their home crowd next month. Granite City five-piece Brothers Reid will launch their new record Top of the Old Road at the city's Lemon Tree on Friday, August 12. Produced by Fat Hippy Records, their eagerly-awaited debut album will be released the following Monday, August 15, and comes on the back of their successful 2010 debut single Do It Yourself. The Brothers Reid consists of Michael Reid on guitar and lead vocals, Chris Reid on acoustic guitar and backing vocals, Al Guinsburg on drums, Rory Comerford on fiddle, mandolin and harmonica and Grant Anderson on bass. Their launch gig will be supported by hot new band Soulfire, folk/rock label-mates The Lorelei, new signings The Ruckus and grunge outfit Crooked Little Vein. Tickets for the gig are available at the boxofficeaberdeen website, by phone on 01224 641122 and at Aberdeen Box Office at the Music Hall, His Majesty’s Theatre and The Lemon Tree.